Located conveniently in the historic Yarrow building, across from the Bay Center (Starbucks). 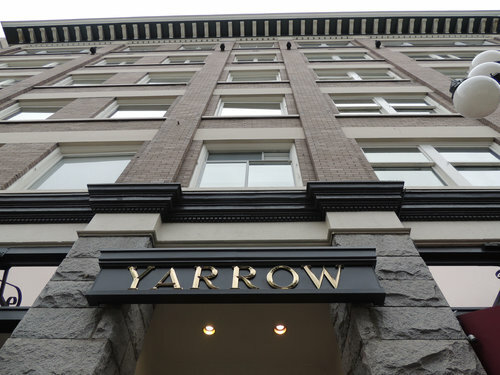 There are 90 minute metered parking spaces on the street surrounding the Yarrow Building. Parkades – The closest parkade is a private parkade located where Broad and Broughton intersect. The first hour is always free in the parkades. Buses – There are many buses that travel to downtown Victoria. Visit www.bctransit.com. Biking – There are bike racks on Fort Street just outside of the Bay Centre entrance.